Doing away with the hard home button since its last flagship device, Samsung is actually making it easier to take screenshot on Galaxy S9. While the Home + Power button combo may no longer work, Samsung now uses the combo that every other Android has been forever using. Follow this guide for all the ways you can use to take screenshots on Galaxy S9 or S9+. You can take screenshots on Galaxy S9 or its bigger sibling by using the hardware buttons or using gestures. If you want to take a screenshot using hardware keys, you will be using what other Android (except for Samsung) phones have been doing since forever. Open the screen or app that you want to capture. This could be any screen in your smartphone, inside an app or even the home screen. Your phone will do a little buzz to confirm the screenshot. You will also see a quick animation and can access the latest screenshot from the notification bar. Or, you can view all of the screenshots from Pictures > Screenshots. Taking a screenshot with hardware keys sounds old school to you? You can also use gestures to take a screenshot on your Samsung Galaxy S9. Once used to this, you will never go back to the awkward use of Power+Whatever-key combo. 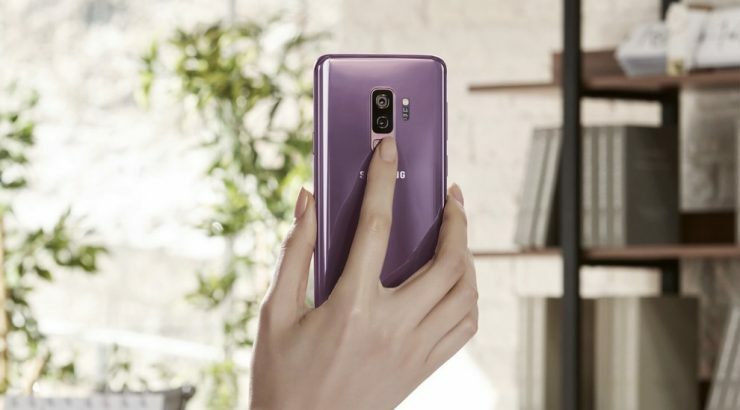 Once you have activated, you can now grab a screenshot on Galaxy S9 using gestures.